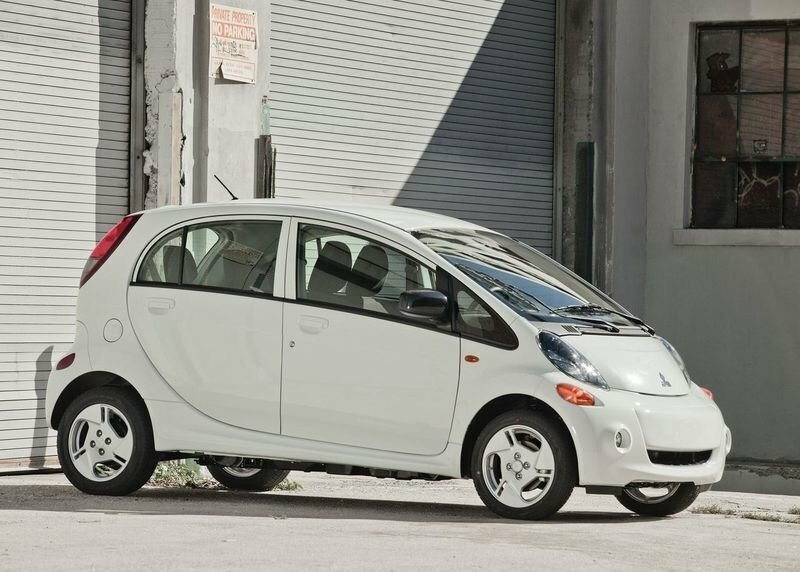 The i-MiEV is designed with an aim at increase usable space. The short overhangs and wide wheelbase gives it a fairly large greenhouse, and the wide expanse of the raked windshield offers a great view out. 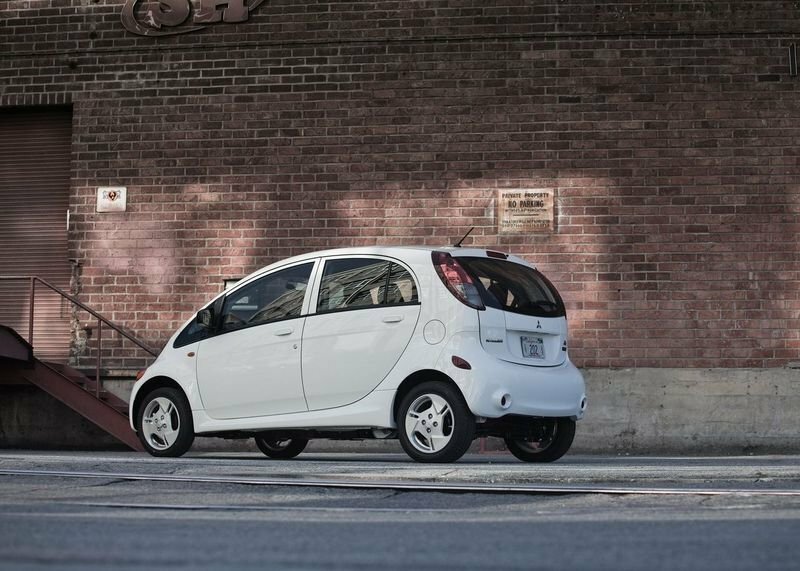 This design feature of the i-MiEV makes it easy to maneuver in city traffic and parking this car in a tiny space isn’t much of a task. The tall-boy design of the car might not be the best to cruise down Hollywood boulevard, but it will most definitely attract the attention of passersby — whether it’s good or bad depends on the person noticing it. This clucky design does have a purpose: maximize interior space with seating for four fully-grown adults and some luggage. It’s definitely not here to win any beauty contests. The i-MiEV is smaller than the Nissan Leaf, but the upright seating position and loads of headroom make it a good city runabout. 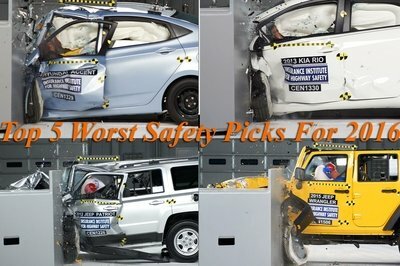 The American version of the Mitsubishi i-MiEV is longer and wider than its Japanese cousin to better comply with stricter crash-safety regulations. The added eight inches of length improves legroom, while the extra width means three people can occupy the back seat — barely. While the outside is quirky enough to grab attention — some of which is unwanted in the i-MiEV’s case — the interior, on the other hand, is fairly basic. There’s nothing much to say about the dashboard, except for the center console, which houses the blower controls and air-con switches, is pretty slick. Just above the center console resides a multi-information display with integrated satellite navigation. The steering wheel is a three-spoke design with silver accents and a large tri-diamond logo in the center. 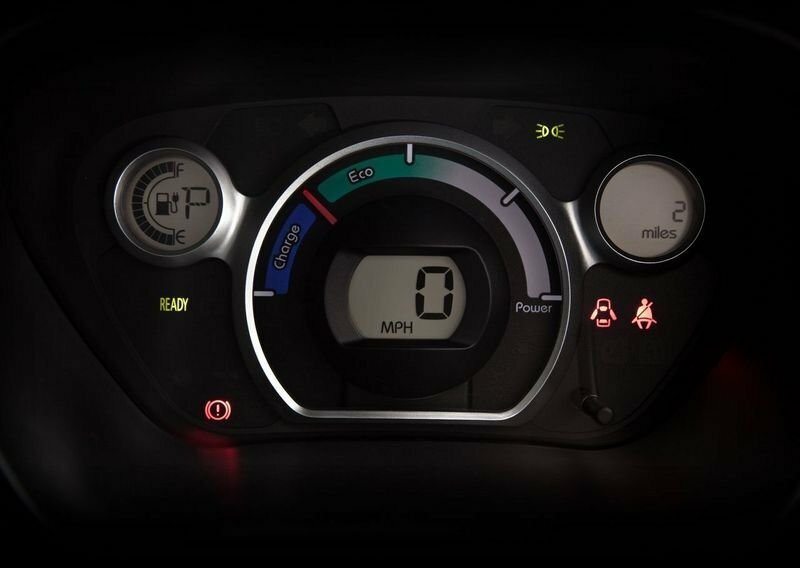 The instrument cluster provides basic information, like speed, current gear, battery charge level and an analog dial, which notifies if the person is driving with a heavy right foot. The Mitsubishi i-MiEV uses a small electric motor mounted under the rear seat. The motor saps power from a pack of considerably heavy, lithium-ion batteries that are in a low-slung position, which lowers the center gravity for better handling. The motor generates 66 horsepower and 145 pound-feet of torque, which is nothing too fantastic, but it’s acceptable for the type of car. Power is delivered to the rear wheels via a single-speed transmission. This car is not meant to do pedal-to-the-metal sprints, hence 0-to-60 mph sprint time of 13 seconds — the i-MiEV is clearly not a car for a drag racing. Where this car excels, compared gasoline or diesel powered machines is emissions. 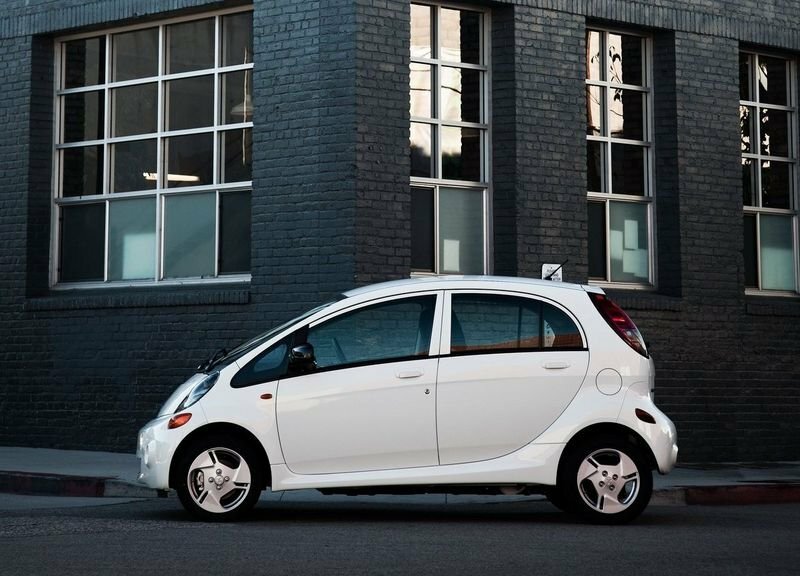 The zero-emissions i-MiEV is rated at 126 MPGe city and 99 MPGe highway. 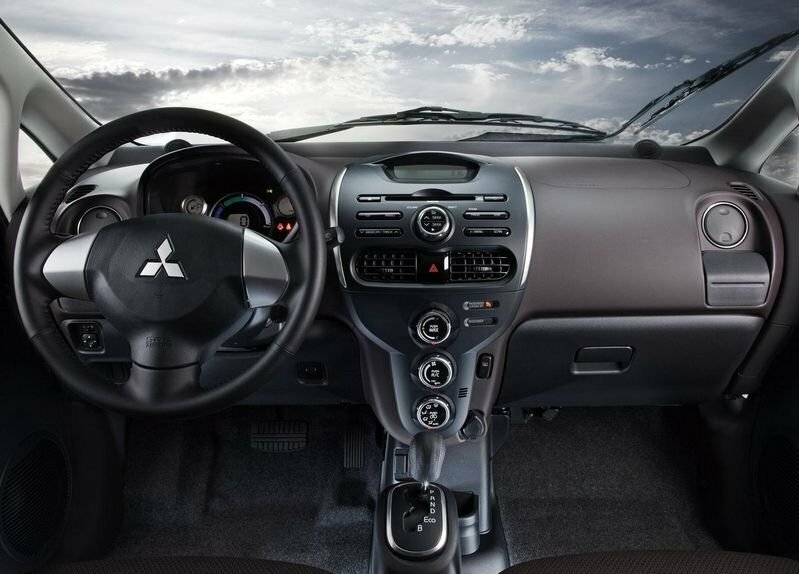 Mitsubishi quotes a total EPA range of 62 miles between charges. The i-MiEV’s battery pack can be fully recharged in 22 hours, or so, when connected to a 120-volt domestic supply. It also accepts a 240-volt supply, which reduces the charging time to seven hours. 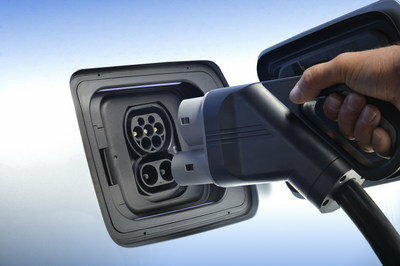 On a public quick-charge port, the i-MiEV can be charged to 80 percent of the battery capacity in 30 minutes. 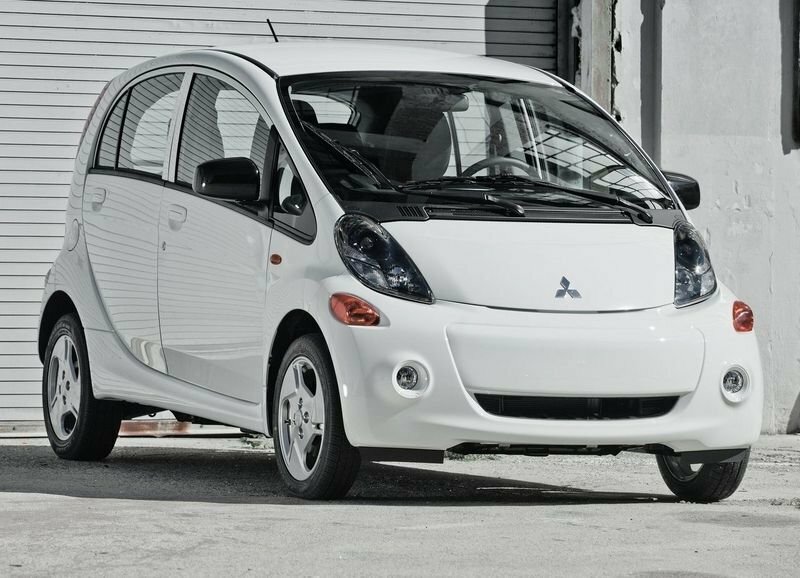 For 2014, Mitsubishi Motors North America, Inc. have slashed the price of the i-MiEV by $6,130 over the 2012 model year car. The company also offers more standard features than before. 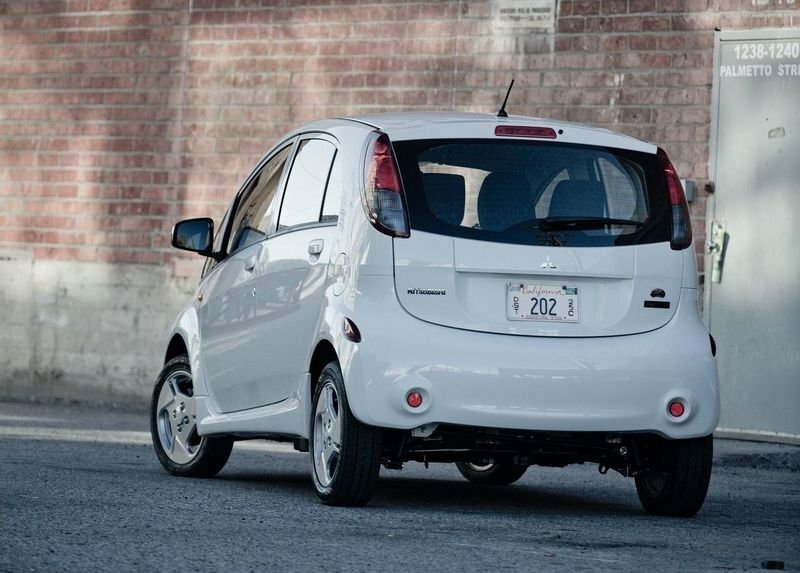 The 2014 i-MiEV ES model includes CHAdeMO DC quick charge port, battery warming system and heated side view mirrors now starts at only $22,995. The government also offers up to a $7,500 credit, which can drop the net MSRP to only $15,495. 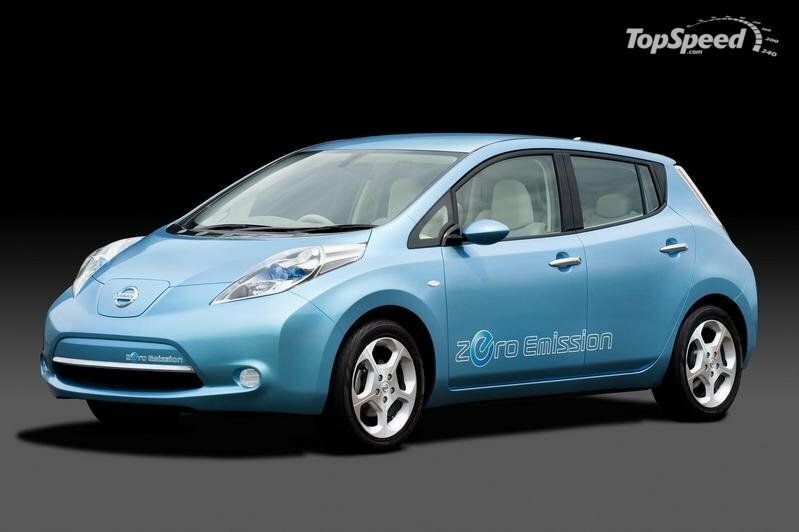 The Nissan Leaf has been around for some time now, and when compared to the Mitsubishi i-MiEV, the Leaf seems like a more grown-up car. The Mitsubishi’s tiny proportions are a compromise. 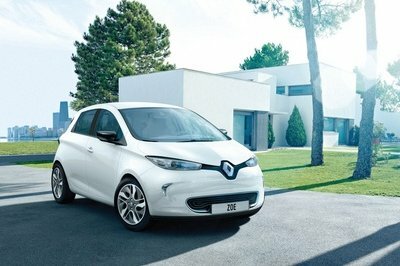 The Leaf should be able to take up the role of a normal family car. 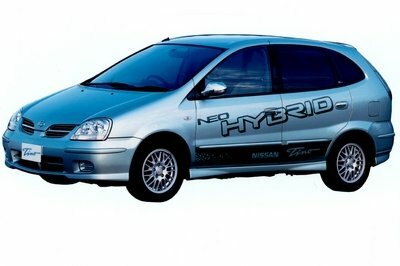 That said, batteries in the Nissan Leaf will only last for 70, or so, miles, so on the range front, it isn’t any better. Having said that, it is as practical as any other hatchback. Unlike the Nissan Leaf or Mitsubishi i-MiEV, the Volt gets a range-extender. Which means, a gasoline engine is always on standby if you happen to run out of juice. The gasoline engine kicks in when the batteries are about to go flat, avoiding the chance of the batteries flat-lining on the road. 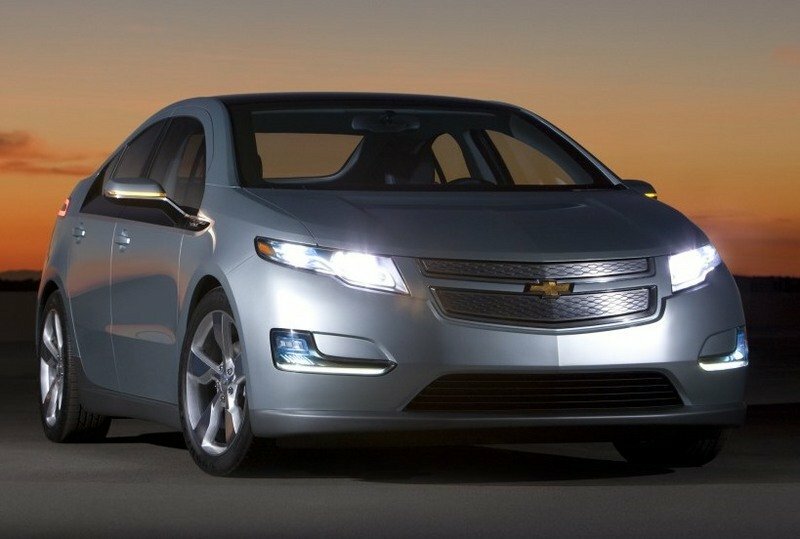 However there is a price to pay for the convenience, as the base price of a Chevrolet Volt is on the higher side of $40,000. The world of electric cars is constantly changing, and the i-MiEV has been one of the leaders in the realm, despite its awkward proportions. 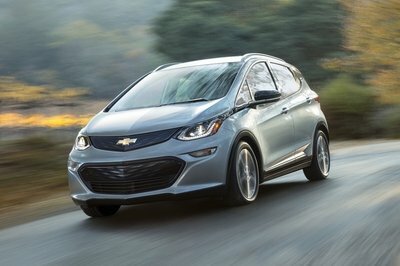 Sure, it’s ugly and a little goofy, but it remains one of the EV pioneers, and the 2014 model year makes gives it a little boost, thanks to the reduced price and extra features. Did we mention that molasses is quicker in the quarter-mile? 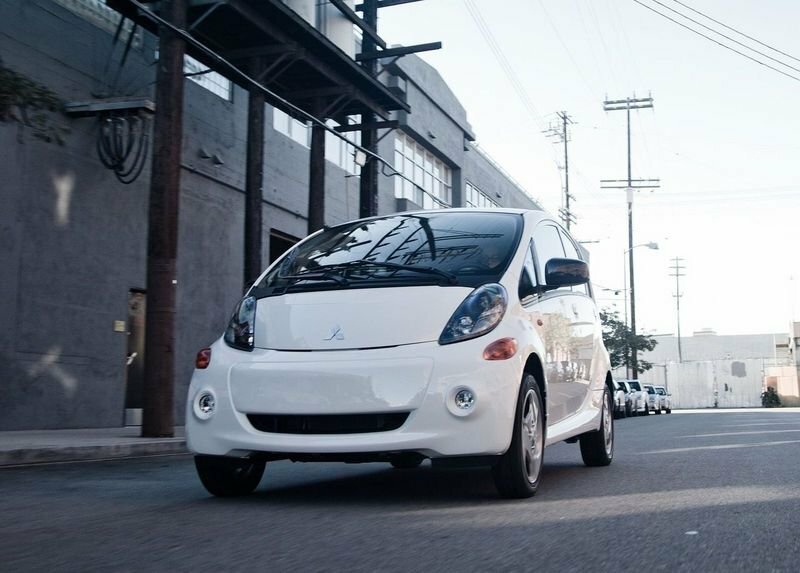 For more information on the new 2014 Mitsubishi i-MiEV, please visit media.mitsubishicars.com.